Your client’s bathroom is one of the most used rooms in their house. 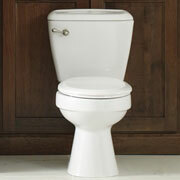 You want guests to be pleasantly surprised when they enter their restroom. At ProSource Wholesale, our showroom features dozens of unique bathroom displays. Here, you will be able to observe different styles and get inspired for your own remodeling project. Every day, new trends are surfacing in the world of remodeling and ProSource is your way of viewing all of them. If your client’s current bathroom sink is inspiring a yawn, perhaps a new sink bowl would be beneficial. 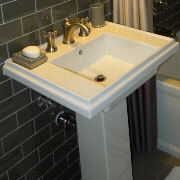 At ProSource of San Diego, we have dozens of unique designs that will alter the overall look of your client’s bathroom. 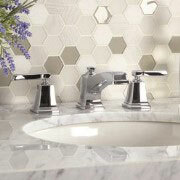 If your client is getting a new sink, odds are they will need a new bathroom sink faucet as well. Lucky for you, ProSource has plenty of options to choose from ranging in material, style, and design. Your client’s shower is one of the most common items to upgrade in their bathroom. With a newer, more luxurious style of shower, you will elevate your client’s bathroom aesthetics to new heights. At our showrooms, you will be able to see new shower designs, shower head features, and even alternative shower door options. Coming to our showroom is the best way to see and learn how to make your client’s bathroom one of the best rooms in their house. 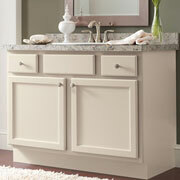 Vanities are a great way to increase your client’s bathroom visual value. If you want to make your client’s bathroom look like one of a kind, our bathroom displays can give you the inspiration you need to get started on your remodeling project. The quality of your client’s bathtub is important to their bathing experience. If they have a faulty, old bathtub, perhaps getting a new one would suit your needs. 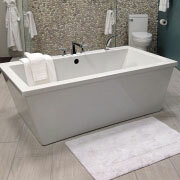 Come to ProSource of San Diego to see the different styles of tubs we have on display. If your client is looking to replace their toilet with a newer, better-working model, ProSource of San Diego is your number-one resource. Stop by our showroom.